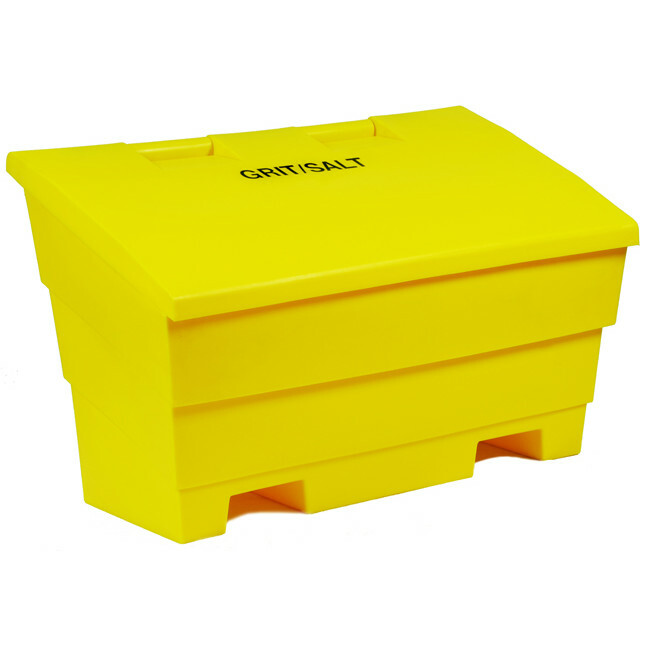 The 12 Cu Ft Grit Bin is constructed from durable and UV-resistant Polyethylene and is an ideal grit storage solution. 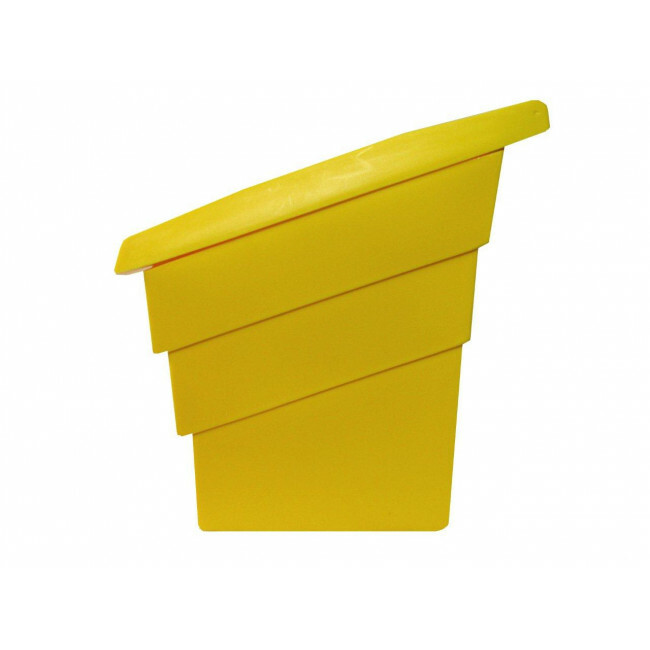 Our grit bins are designed with an angled lid to minimise the amount of snow and ice settling on top of the bins, ensuring ease of use during winter. 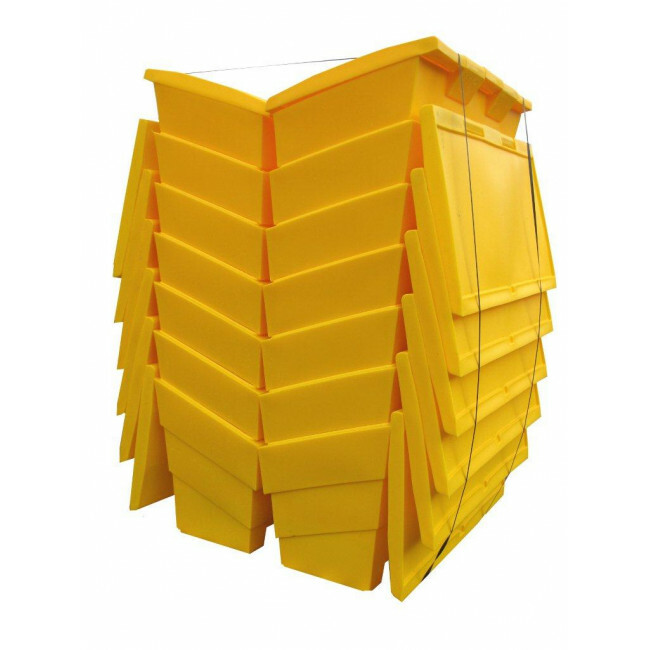 Our grit bins are inter-stackable up to 10 high and are an ideal option for storage throughout the summer months. 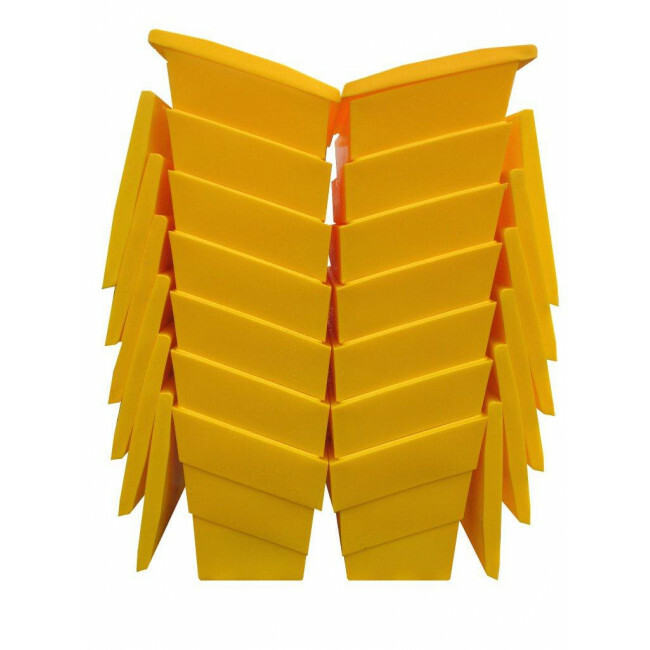 Available in large quantities to suit the needs of councils, schools, colleges, export, universities, business premises etc. Available in a choice of seven standard colours including sandstone and stone effect, which comfortably blend in with the surrounding area. 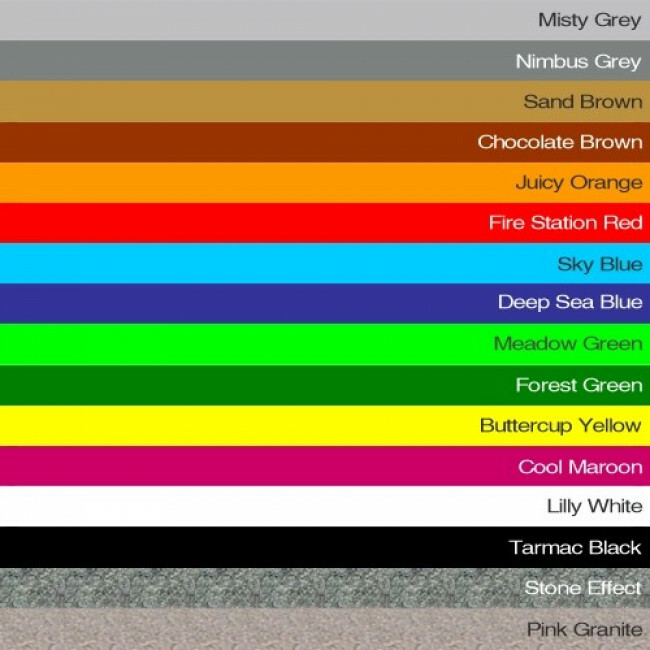 If you don't want all your bins in the same colour, please type in the text box the colours and how many bins you want in that colour. 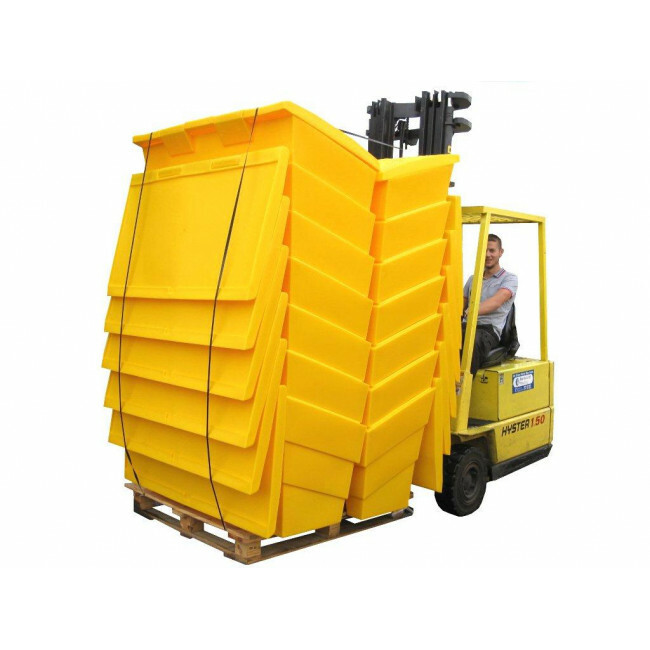 These grit bins will be delivered on a standard size pallet. Each pallet will hold 14x 12 cu ft grit bins.